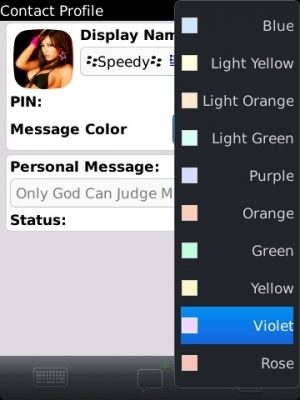 BlackBerry Messenger 6 to get new look | BlackBerry Blast! BlackBerry Messenger 6.0 should be released with the upcoming BlackBerry OS 6.1, and it sounds like the app will get a paint job as well as some new features. CrackBerry is reporting that new icons and color options will be included. "So far we know that BBM will sport the fancy new 6.1 icons within the app itself. So no more boring icons and instead you get the fun colored ones that you'll grow to love. Also, from the looks of things you'll be able to change colors for contacts and chats, so you can pick and choose what color to match with what contact. Aside from that just some eye candy for now."